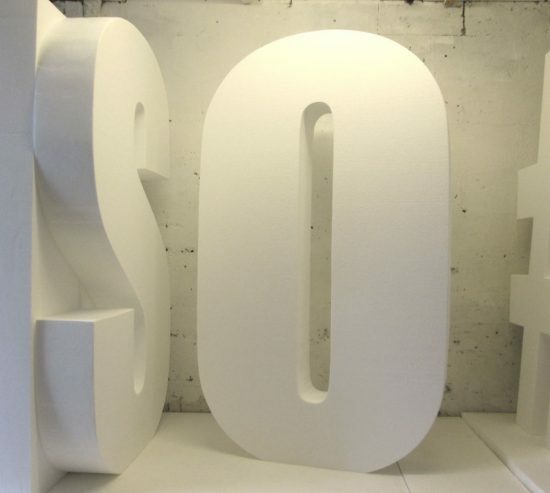 Large 3D letters are available custom cut to order 1900mm high by 200mm thick, supplied in a natural white finish polystyrene. 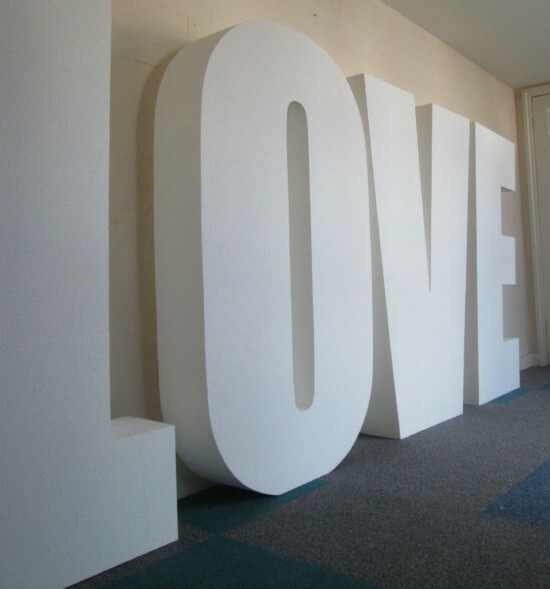 These big standing letters are ideal for props for events and displays. 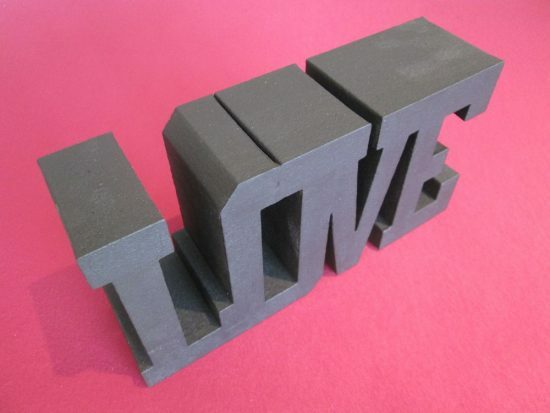 Big standing letters for weddings, letters are made in various heights and in 150mm thick, 200mm thick or 300mm thickness. 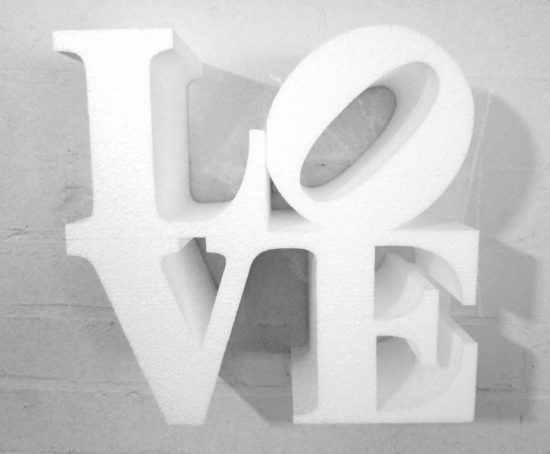 Letters can be supplied with a natural white finish, painted finish or glitter finish. Joined, connected love letters, painted grey. Supplied for shop displays.